Have a plot plan?. I can design. Have a technical issue?. I can resolve it. Located outside the United States?. No problem! We are here to exceed your expectations! Rain Bird® R-VAN Rotary Nozzles provide water efficiency and design flexibility. 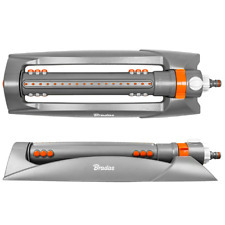 Exclusive body ribs make it easier to install, adjust, and service while also providing more stability for the sprinkler in loose soils. Add in its compatibility with all industry standard female nozzles–as well as Hunter’s own complete line-up of adjustable, fixed, and specialty nozzles–and you have the industry’s most sophisticated spray sprinkler. Die Fähigkeit, den Wasserdruck zu regulieren, ist für die Gesamteffizienz des Systems entscheidend. Der mit einer braunen Kappe versehene PRS30 verfügt über alle Funktionen, wie Langlebigkeit und Zuverlässigkeit, des Pro-Spray Gehäuses und sorgt für eine effiziente Druckregulierung, indem er den Wasserdruck konstant auf 2,1 Bar hält. Condition is New. Very hard to find green color. You get nothing more nor nothing less than what is pictured. Kids Sea Lion Water Sprinkler. Just attach any standard garden hose, turn on the water. wait for the sprinkler to fill up and you are all set to get WET! Simply connect it to the garden hose and the fun can begin! VERSENKREGNER 3504-PC. - Die Versenkregner Typenreihe 3500 sind als 4” und SAM-Modelle erhältlich. - Öl- und fettfreies Getriebe für dauerhaften und zuverlässigen Betrieb. - Ein Modell für Voll- und Teilkreis (40 bis 360°). 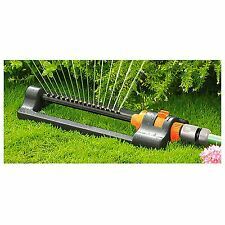 Rain Bird 5000 Series 4" Rotor Pop Up Sprinkler With FREE POSTAGE! Full range of Lawn/garden sprinklers,garden watering,impulse sprinkler,uk stock! It fits the 1/2", 3/4" and 1" models. Have a plot plan?. I can design. Have a technical issue?. I can resolve it. Located outside the United States?. No problem! We are here to exceed your expectations! The 8 Wiggling Octopus sprinkler's foamy noodle arms swing and sway every which way to create a crazy geyser in your own backyard. Attach any garden hose to power up the water-wiggling wacky fun! Kids Octopus Water Sprinkler. We build our 22SA Series rotor sprinklers for long life, quiet operation and maximum design flexibility. The protected closed-case design makes these sprinklers ideal for “creeping” grasses, sandy soil and other harsh surroundings. Hunter's PGP Ultra is the upgrade to the PGP. The PGP Ultra is a blockbuster of epic proportions. Have a plot plan?. I can design. Have a technical issue?. I can resolve it. Located outside the United States?. Rasensprenger / Impulsregner Maße: 24 x 19 x 16 cm Material: Kunststoff Sprühweite Dia. Effektive Nahbereichsbewässerung. - Düse Rain Curtain™ mit niedrigem Strahlanstieg: 10°. Regner 5000 PC sind standardmäßig mit Rain Curtain Düsen ausgestattet. Anschlussgewinde: ¾“ IG. Kräftige Rückholfeder sichert zuverlässiges Einfahren des Aufsteigers. THESE SOLENOIDS NEW CAN BE USED FOR IRRIGATION AND SPRINKLER SYSTEMS. RAIN BIRD SOLENOID SRK 3 IN LOT. Hunter Swing Joints -6" Length SJ506 SJ7506 SJ706 1/2"x1/2" 1/2"x3/4" 3/4"x3/4"
Orbit Replacement Solenoid 24 V Hydro-Rain, Irritrol and Lawn Genie valves. Condition is New. Shipped with USPS First Class Package. These heads use any standard female threaded nozzle which include the Rainbird nozzles (fixed and adjustable), Hunter nozzles (fixed and adjustable) and Hunter's Rotator nozzles. Have a plot plan?. I can design. 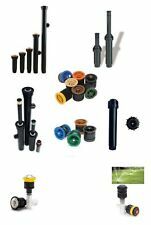 Rain Bird full Circle Pop-Up Spray Head Sprinkler Garden Lawn Irrigation 4"